The Ripper was the first pro model introduced by Foam Design / Easy Rider and was appropriately endorsed by legendary drop-knee pioneer Jack "The Ripper" Lindholm. 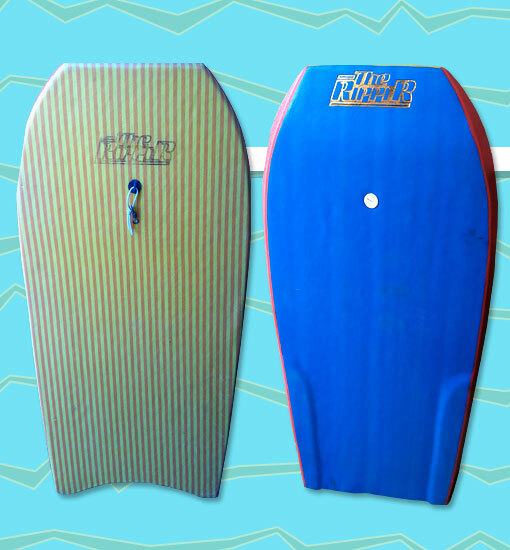 With a length of 44", The Ripper had a slightly longer scale than most other bodyboards on the market. The most notable feature, however, was the "Speed-Slotted" bottom: two ridges located near the rail (much like reverse channels) were added with the hope of enhancing control and speed. Photo: Stephen Henny.